The sixth in a series of articles about priesthood and its purposes. Not long ago I was presiding at a stake conference. It was a new stake, organized just six months before, and this was the stake’s first conference after being constituted out of a district. The new stake president and I had our interview, and at the conclusion of our time I asked if he had any questions he would like to ask. His first question was “What is the Presiding Bishopric?” He added, “I didn’t even know there was a Presiding Bishopric until I received a letter indicating that you would be presiding at our conference.” This is not an uncommon question. I proceeded to explain to this stake president what the Presiding Bishopric is, to whom we report, and what our responsibilities entail. I explained that under the direction of the First Presidency the Presiding Bishopric serves as the presidency of the Aaronic Priesthood of the Church (see D&C 107:15) and that the Presiding Bishopric also administers the Church’s temporal affairs (see D&C 107:68). The Presiding Bishop of the Church—Bishop H. David Burton—holds the keys as president of the Aaronic Priesthood. He exercises those keys as directed by the First Presidency and the Quorum of the Twelve Apostles. 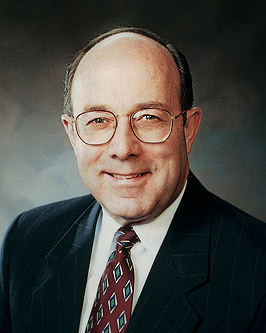 Bishop Burton serves as a member of the Priesthood Executive Council, which includes members of the Quorum of the Twelve Apostles and other General Authorities. This council hears and evaluates proposals from the Young Men general presidency and gives counsel and direction regarding the Young Men program. In this way, the Presiding Bishopric is kept abreast of the work of the Young Men general presidency and the young men’s activity program in the Church. The Presiding Bishopric is also the channel through which temporal matters of the Church are carried out. These temporal matters include issues that deal with tithes; fast offerings; the recording, disbursement, and management of funds; and the welfare program of the Church and its humanitarian efforts. The Presiding Bishopric is also responsible for Church buildings; for membership records; for the production of temple clothing; and for the translating, printing, binding, and distributing of materials that are used in support of proclaiming and teaching the gospel. These materials include the scriptures, curriculum materials, posters, DVDs, videos, teaching aids, and the Church magazines—all in support of the spiritual purposes of the Church. All members of the Presiding Bishopric are General Authorities and as such can do whatever the First Presidency or Quorum of the Twelve Apostles asks of us. And so it was that I was on assignment to preside over a stake conference when this question came to me. In most people’s minds, the temporal affairs for which the Presiding Bishopric is responsible are the business aspects of the Church. But in the 29th section of the Doctrine and Covenants, the Lord says, “Wherefore, verily I say unto you that all things unto me are spiritual, and not at any time have I given unto you a law which was temporal; … for my commandments are spiritual” (D&C 29:34–35). The Lord does not look at things the way we do. And so it is with the temporal affairs of the Church. Because a copy of the Book of Mormon is a printed book, to the unknowing eye it may appear to be like any other book. But this book is produced to introduce to the world the everlasting gospel of Jesus Christ. And so the “temporal affairs” that bring about the translating, printing, binding, and distributing of the Book of Mormon are rife with spiritual implications. This principle is true for everything “temporal” the Church does. In a very real way our purpose as the Presiding Bishopric is to help bring about all that Heavenly Father’s children need to obtain the blessings of the everlasting gospel. We help provide the earthly, or temporal, support in order for that to happen. “For a permanent and everlasting establishment and order unto my church, to advance the cause, which ye have espoused, to the salvation of man, and to the glory of your Father who is in heaven” (D&C 78:3–4). In my capacity as a member of the Presiding Bishopric, I have come to know that the mantle of the priesthood and the spirit of prophecy and revelation are vital and alive in these temporal aspects of the Lord’s work.